There’s a new shop in town offering guests a quick trip that is distinctly Target. Target’s newest and smallest format store yet — dubbed TargetExpress — is opening this week in Minneapolis. In keeping with the test-and-learn philosophy behind this 20,000-square-foot beta store, Target will begin serving a handful of guests on July 23 (what retailers call a “soft open,”) giving the team time to get ready for opening weekend. Tailored to city dwellers and students (the store is just steps away from the University of Minnesota campus), TargetExpress features an edited assortment of merchandise, including fresh produce, grab-and-go food and snacks, pharmacy, home, seasonal, electronics, beauty and more. And while the smaller, hand-held baskets and two-tiered carts might be designed for quick trip shopping, that didn’t stop us from packing them with everyday essentials and some awesome, unexpected finds — like these Room Essentials bowls. 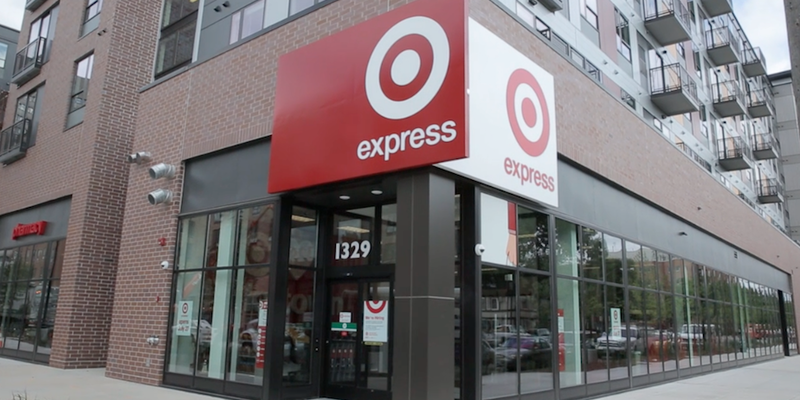 Digitally-connected shoppers can also enjoy seamless access to all of Target’s offerings, both in-store and online, at TargetExpress. One of our favorite examples was demonstrated during our tour — the store is testing the new “In a Snap” app, which enables guests to scan a poster in store and immediately shop items from the page. While the first TargetExpress may have opened in Target’s hometown, Minneapolis guests aren’t alone. Target plans to open four new TargetExpress stores in 2015. Three of these stores will be located in the San Francisco Bay Area as the quick trip store experience fits right into the busy Bay Area lifestyle. Target will also expand its TargetExpress presence in the Twin Cities with one store that will open in the Highland Park area of St. Paul.